What are the most important skills to learn if you really want to achieve your maximum potential? How do you keep going when all the oddsare stacked against you? How can you motivate a team to follow you in spite of apparent risks? So as most of you know, I have been in love with writing since I was in high school. It's been a passion, and although I've gone to school for a different program altogether, It's been on my mind always, and more so since I started this blog. I also love to travel, read (Duh! ), and any form of visual arts. These are some things that kind of went on my back burner due to work and school. But when I started reading this book, I found myself rethinking what I wanted to be most important in life. The fact that I have been to places many haven't as well as the fact that there is one place I love so very much, I have constantly thought about picking up everything and moving there, just because it made me so much happier. Of course, throughout this novel, it also had more realistic ideas on how to achieve what you want out of life, and how to grow as a person. I can 100 percent say that I am definitely not the same person I was a year ago, and I know I'll be different a year from now. The most important thing is knowing who you are and what you want, before you make big changes. "Today is the first day of the rest of your life. So live it BOLDLY." While reading A Survival Guide, I found that Bear Grylls not only talked about everyday things that you can do to achieve your goals, but he really went further and discussed parts of his own life and stories on his friends or people who have inspired him as well! I really liked how every chapter, the title of course told what was going to be talked about, but they were all thought-provoking as well as inspiring, because it kind of gave you the beginning tools to help you accomplish your goals. I found that when getting to the beginning of every chapter, just looking at the titles, I kind of thought I knew where it was going to go...as in another self-help going to bore me on something that was perceived to be helpful. But the truth is, it was actually VERY helpful! It went in all kinds of directions, and really made me think more about what would be between the words, and how in some way or another, the words that he wrote were speaking to me, as if he knew the things that I had gone through or continue to go through. It's very personal, the way he talks to the reader, and I found that he kind of made you uncover your own layers through his book, and it totally works! "Within us are incredible embers of dreams, hopes and aspirations waiting for us to breathe them into life. And it only takes a tiny ember to start a great fire." Okay, so moving on, I do want to share some amazing quotes that I found throughout here, that really spoke powerful words, and mainly overall impacted this novel to me. "Bravery is about facing up to the things we feat the most, and overcoming and conquering those fears...or at least quelling them for a while." "[Failure] is a stepping stone to success." "Pain is transitory; pride endures for ever." "The time to shine is when it is darkest." "Struggle develops strength and storms make you stronger." "And sometimes it is the broken-ness that gives us the fire." To be honest, I don't think that there are any more words I can say to really talk about this book. I find that I really needed to read it at the mot important time in my life, and I found it to be extremely helpful. It made me think about who I was, who I am, and who I want to be. I've thought about so many things in the past week, than I have in the past few years! Sometimes it's hard for us to really sit down and think about what we want, if we have become comfortable with what we currently have. I'm not saying anything is wrong with that, but like Grylls says, is that sometimes once you've become comfortable with something, you start to hypothetically create a little hole or next for you to stay there, and sometimes it leaves you very unhappy, because you never decided to take the next step. Let me get a little personal with you all. I almost never started this blog. But on a whim one late night talking to a great friend about my blog name, I decided to go for it. 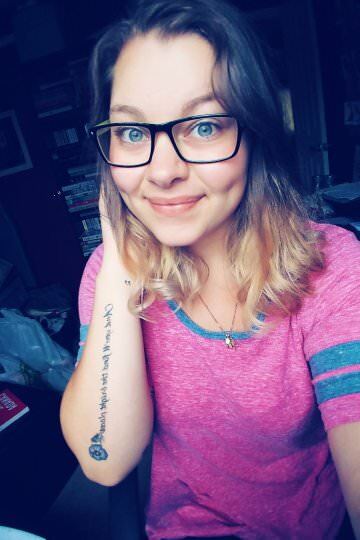 I decided to make the leap from avid reader to a Book Blogger who loves to spread the word to the world about amazing books and amazing authors, because it's a passion and now lifestyle. Some people ask me or tell me that I need to get paid for the time I spend doing all of this, (and to some extent I would agree) but if I started to get paid for a passion, I would start to be less passionate about it, and I would feel weighed down by more and more, and in the end, I wouldn't be happy. But I am happy with what I do! Some people don't understand why I love to read, or why I do what I do, but the truth is, it's my own thing, and I have met incredible people (bloggers, bookworms, and authors) from all around the world, who know exactly how I feel, and there is nothing more fulfilling than that. You my think I am getting off topic, but in reality, this is my own way to explain how the book has helped me. I think about continuing to blog, to work more on becoming an author and (hopefully) seeing my books in stores, and maybe travel more! Overall, I have to say that this book was definitely an eye-opener! It really spoke the truth about being passionate about your dream, and actually putting your best foot forward to get there! The Great Wall wasn't built in a day, and the first man on the moon sure had his own obstacles, (I know not the best analogies...)but it didn't stop either from being accomplished. A Survival Guide For Life really spoke well with me, and truly was inspirational! Of course I would recommend this to everyone. Whether you are facing difficult times, and need some help, to trying to find some inspiration when all hope is lost, or even just to read about someone else who made their dream a reality, you will not be disappointed with this novel! 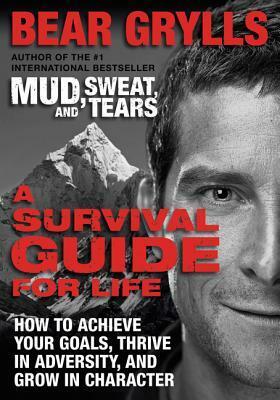 And that is all for my review of this novel by Bear Grylls. I really hope you enjoyed it, and didn't mind me being a little more serious and personal than most of my other reviews. If there are any books similar to this, or you have any comments, I would love to hear them in the comments below!